Funding provided by Swords to Plowshares has given RTS the opportunity to provide trauma-informed sexual assault services to women veterans living in San Mateo County. Sexual violence impacts physical and mental health and can affect quality of life over the long-term. Sexual violence remains largely invisible, stigmatized, and inadequately addressed by much of society (civilian and military). Most survivors don’t report their assault out of fear, shame, or belief that nothing will be done about it. Many survivors who do report their assault (without an advocate) suffer additional trauma from harmful treatment by superiors, police, emergency rooms, district attorneys, and the courts. Most cases are not prosecuted. Survivors are often left feeling unsafe and disconnected. According to The California Department of Veteran Affairs, in 2012 there were 28,683 veterans living in San Mateo County. The department estimates that 2,868 (10%) of these residents are women. 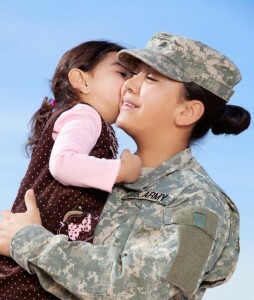 Our goal at RTS is to successfully address the unique healing needs of female veterans. For additional information or to make a request to see a counselor, please call our business line at (650) 652-0598.